The remotely operated vehicles ROPOS (“the world’s most capable scientific submersible”) will be deployed from the R/V Falkor and used by the science team to explore the deep-sea hydrothermal vents. On April 29, all eyes will be on the deep seafloor between Fiji and the Kingdom of Tonga. Fish Eye Project’s Mike Irvine, Pennsylvania State University researcher Cherisse Du Preez, and University of Victoria researcher Rachel Boschen will explore hydrothermal vents in the Lau Basin 2 to 3 km underwater. 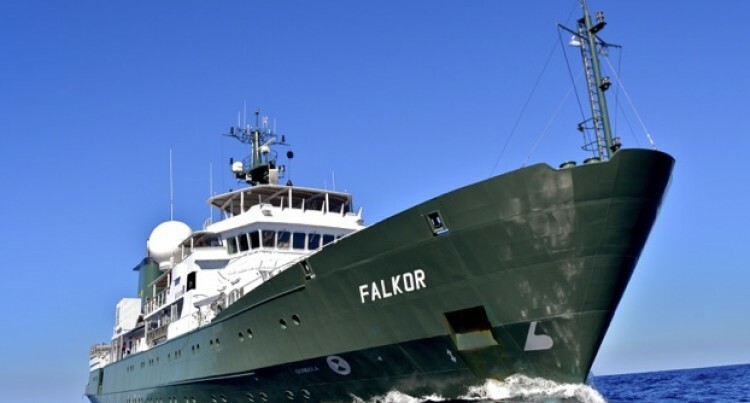 Irvine and Boschen will host a two way ship-to-shore between educators and students participating in Ocean Networks Canada’s Ocean Science Symposium at the University of Victoria and Du Preez and ROPOS on the research vessel Falkor. The project is backed by Eric Schmidt, one of the world’s richest businessmen who Forbes ranked as the 100th-richest person in the world this year. Mr Schmidt, the former Google CEO, created the Schmidt Ocean Institute 2009, along with his wife Wendy Schmidt. The institute was to enable research that expands understanding of the world’s ocean using advanced technology, intelligent observation, and the open sharing of information. Among the public participants, and no stranger to adventures on the high seas, are Baobab Marine Fiji and their yacht community affiliates and friends. The ocean is for everyone and this all inclusive event proudly invites all ocean enthusiasts to join. We know more about the surface of the moon than we do the deepest parts of our oceans, yet the deep sea represents 80% of the habitable area of the planet. Despite crushing depths, the deep sea supports unique oases of life next to super-heated vent water, reaching temperatures over 640°F. Living at these hot vents means carefully navigating through super-heated, acidic water at high pressure to find food and survive, all in complete darkness. The Western Pacific back-arc basins’ ‘Ring of Fire’ hosts unique hydrothermal vent communities with species found nowhere else. Sites like these are thought to be the origin of all life on Earth, existing independently of sunlight. Instead, the food web is based on tiny chemosynthetic microbes (bacteria) which derive their energy from chemicals in the super-heated water. Join a team of international scientists and ocean enthusiasts exploring vent life to better understand these remote environments in the face of a changing ocean (notably: deep sea mining in the dive region) . Angel Du Preez is a seasoned yacht crew member and newly appointed superyacht agent in Fiji at Baobab Marine. Baobab is volunteering support to help promote the ship from the shoreside to gain a wider audience and promote the education of the deep-sea.